Capital Gains tax in Malta is charged to any gains or profits which comes from immovable property, securities, business goodwill, trademarks, copyright, patents, trade-names, trademarks and beneficial interest from a trust being transferred. In this case, “securities” exclude any preference shares that have a fixed rate of return. In Malta, there are rules about how to calculate the capital gain tax on immovable properties or securities. This includes securities from companies which happen to also own immovable property. These rules are further governed by both formulae and inflation-linked adjustments. This means that the effective capital gains tax in Malta can actually be less than the standard 35%. At the end of each financial year, any profit made through capital gain is charged as part of the taxable income. However, in the event of a capital loss, it is not set against the rest of the income for that financial yet but is instead brought forward to the next financial year. Each year in which the loss is brought forward it is set against any capital gains and continues to be taken forward until the loss has been fully absorbed by subsequent gains. There is a ‘participation exemption’ for any company that derives either dividend income, capital gains income or both from a ‘participating holding’. As an alternative, the shareholder of a Maltese company is entitled to claim a refund of the income tax. This can happen if the Maltese company elects to be subject to tax and pay income tax on capital gains and dividends received that arises from a participation holding. A ‘participation holding’ is a shareholding within a company that holds equity shares in another company or body of persons that qualifies. Additionally, it must satisfy the following conditions. It must have at least 10% of the equity shares in a separate company. It must be an equity shareholder that is entitled to purchase the balance of the equity shares in a company or have the first refusal on the purchase of such shares. It must be entitled to either sit on as or against a person of the Board as an equity shareholder. It must invest a minimum equivalent of €1,164,000 and this investment must be held uninterrupted for at least 183 days. It holds the shares in another company in order to further its own business and this holding is not trading stock held for trade. Additionally, the ‘target company’ must satisfy one of the following conditions so that it may claim participation exemption on its dividend income. The company must be resident in or incorporated into the European Union. The company must have bee n subject to foreign taxation at a rate of no less than 15%. The company cannot derive more than half of its income from either a passive income source or from royalties. In the event that it does accrue its income passively or from royalties it must satisfy the following two conditions. The shares of any body of persons must be held as a portfolio investment if they are not resident in Malta. These persons who are not resident or the passive income or royalties have been taxed at a rate which is less than 5%. 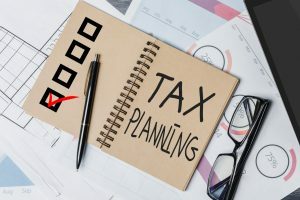 In the event that an asset that is subject to capital gains and has been used within a business for at least three years is transferred and replaced by an asset for use in a similar purpose then any capital gain that comes from this transfer is not taxed. However, the cost of acquisition of this asset is reduced by the gain made. In the event that the asset is disposed of and there is no replacement then the overall gain made by the company will take into account and be reduced by the transfer price as well as the cost of acquisition. Additionally, when an asset is transferred to one company from another and these companies are defined as a group of companies then it is deemed that no or gain arises from the transfer. This also applies when the two companies are at least half both controlled and beneficially owned, either directly or indirectly, by the same shareholders. There are anti-abuse measures in place in relation to the aforementioned tax deferral provisions. This is to ensure that companies that can benefit from these provisions do not transfer the asset to a third party. Malta does not impose any withholding taxes when assets or shares are transferred to a Maltese company. There is a share transfer that is subject to duty on documents. However, there are exemptions available for companies that make such transfers having obtained an exemption from this duty. This exemption is granted to a company whose business interests lie outside of Malta and the shareholders of this company are not-resident within the country either directly or indirectly.